Boulder, Colo. (March 27, 2018) Wana Brands — Colorado’s No. 1 selling edibles brand, as reported by BDS Analytics — has announced a year-long partnership with long-distance runner Flavie Dokken to help promote the health benefits of cannabis as a natural alternative for recovery and pain relief among the athletic community. A former bodybuilder and a U.S. Army Veteran, Dokken’s recent competitive accomplishments include completing multiple marathons and ultramarathons each year—including the Mad Moose Pueblo Half Marathon on February 25, where she had a 6.50 pace. 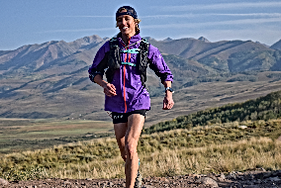 Dokken, who utilizes cannabis for recovery and pain relief, will participate in the following races for the 2018 season: Quad Rock 50 Miles, Bryce Canyon 50K, La Sportiva Uphill Climb, Never Summer 100K, Mad Moose Crested Butte 105K and Ray Miller 30. Many athletes, Dokken included, have found that marijuana can be used as a compliment to their training and recovery programs, and it provides symptom relief without the negative side effects that painkillers and prescription drugs can have. Many athletes have also reported that indica strains rich in CBD help them with pain management, relaxation, decreased anxiety and improved sleep quality. As cannabis continues to become more mainstream, an increasing number of athletes are advocating for the use of the herb as a safe and natural alternative; Dokken exemplifies how cannabis can be used as an aid in recovery. Together, Wana Brands and Dokken will work to educate the athletic community on how cannabis can elevate their experience and allow them to enjoy their passion to the fullest extent. Wana Brands products offer athletes consistency and quality. The popular products are available in Colorado, as well as Oregon, Nevada and Arizona. Wana Brands is projecting expansion into Illinois, Florida, Maryland, Pennsylvania, and California, as well as internationally in Canada. With a wide range of items, spanning from sweet to sour, Wana Brands offers its customers a variety in choice and consistency in quality. Wana Brands leads the cannabis infused products industry in quality, consistency and potency. Wana products include a full line of edibles, including our market leading gummies and WanaCapsXR, a family of extended release cannabis capsules that provide symptom relief for up to 12 hours. Wana Brands is the No. 1 ranked edibles brand in sales revenue in the highly competitive Colorado market according to BDS Analytics. Wana products are also available in Oregon and Nevada, and has announced entry into Arizona and Illinois, with more markets readying for launch. For more information, visit www.wanabrands.com.